Stuart Castle Missouri | Actionsuit Alert! 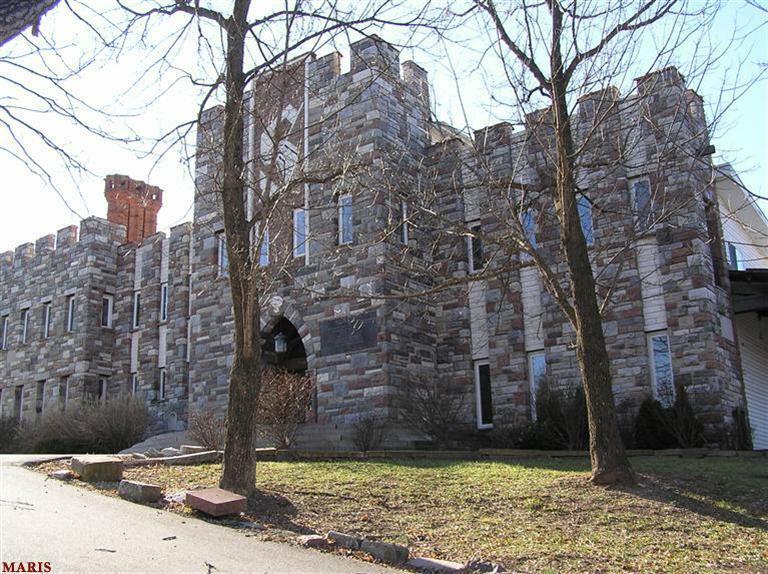 Missouri’s most famous and infamous castle, Stuart Castle in Eureka, Missouri, has fallen into bankruptcy and is now for sale. The castle was built by the eccentric Dr. Stuart Wallace as a gesture to his wife, surrounding and expanding a large, old farmhouse with stone. The interior was renovated in the 90’s to the tune of over 1 million dollars by a Dr. Naresh Misir and has now fallen into bankruptcy. It’s a stunning property set on a bluff overlooking the Meramac River and contains an eccentric, amazing, and sometimes creepy interior. My wife grew up in the area and was friends with the daughter of the original owner, often visiting and playing on the property (before the 90’s renovation). Suffice it to say it’s sale has sparked the imagination of the wife and I, not to mention our kids, so we’ve made plans to take a look at it this weekend! It’s a complete and total deviation from any kind of life plan the wife and I have discussed about our future or our kids future….but, did I mention it was a castle? 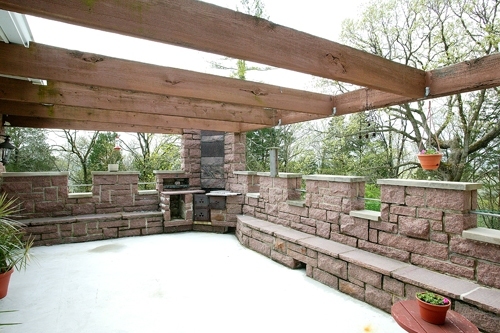 Oh, and it has a BBQ porch. Yes, you read that correctly. It has a dedicated porch to barbecuing. Now that is my kind of castle. Here is a nice set of photos only a year old from stlmag.com. The barbecue porch at Stuart Castle. Not big enough to cook a whole pig, but it will have to suffice. This entry was posted in Actionsuit Guide, Family Stuff and tagged eureka, meramac river, stlmag.com, stuart castle by Myles Patrick. Bookmark the permalink.